This foldable Paper ATM Machine functions as a coin bank and is great for teaching kids to save money. High gloss lamination makes this Cardboard ATN Bank extra durable to support being filled with coins. 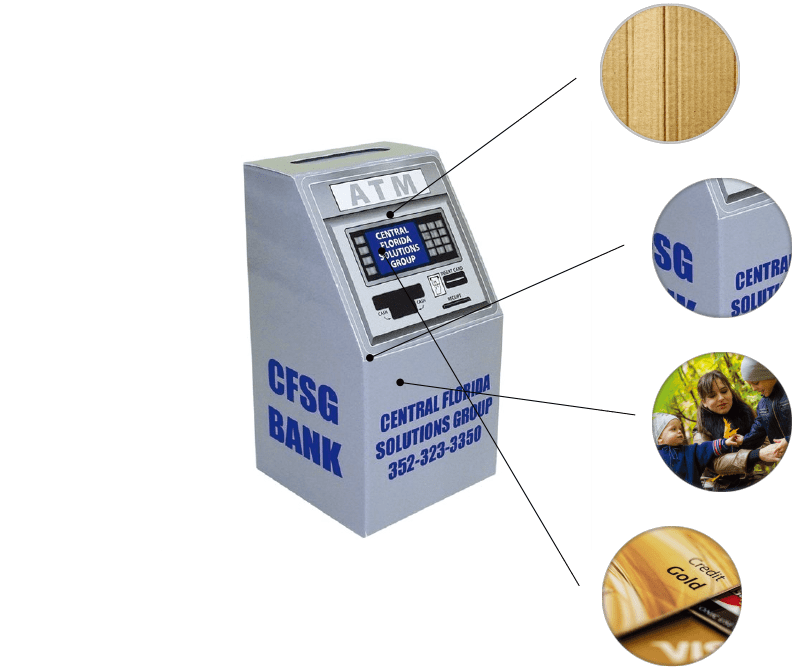 These ATM Banks are not just great for banks and credit unions, but can be custom printed as slot machines for casinos. Customized with an offset print of your logo or design on the front and sides of the cardboard bank in up to two colors. Overall it is a great product and went over very well at the event. We'll certainly be ordering more later on! Quality was A OK! Wonderful size and color was everything expected. very satisfied overall.